In the past two years, I've started taking a stab at designing real-life products. This has primarily included t-shirts printed by Cotton Bureau, stickers, and a handful of limited-run posters available locally in Denton, TX. I intend on launching a small store with some of these this year. 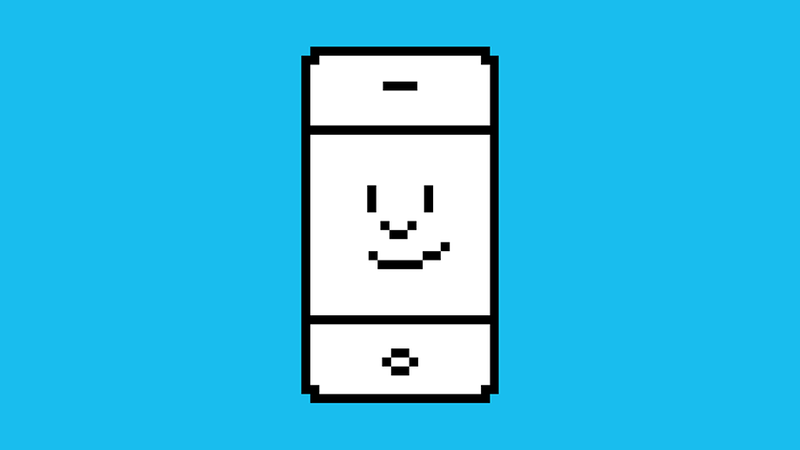 Inspired by the classic Susan Kare icon, this happy iPhone icon is a counterpart to the sad iPhone that I use on my error pages on this very site! One of my favorite pixel art pieces I've done. Printed as a series of limited edition prints in six bright colors, as well as a Sad iPhone counterpart in “Shuttle Gray”. Available soon, sign up to hear when they’re available. After the Model 3 announcement, I wanted to be able to share my enthusiasm for the upcoming car from Tesla. As a longtime fan and (tiny, yet lucky) investor, I immediately put in a reservation. 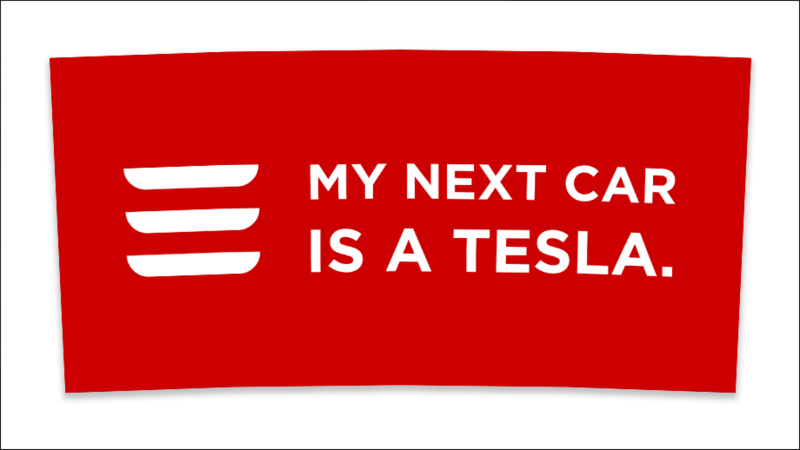 You can let everyone know your next car is electric, with your own Model 3 bumper sticker. Available again in early 2019, sign up to hear when they’re available. 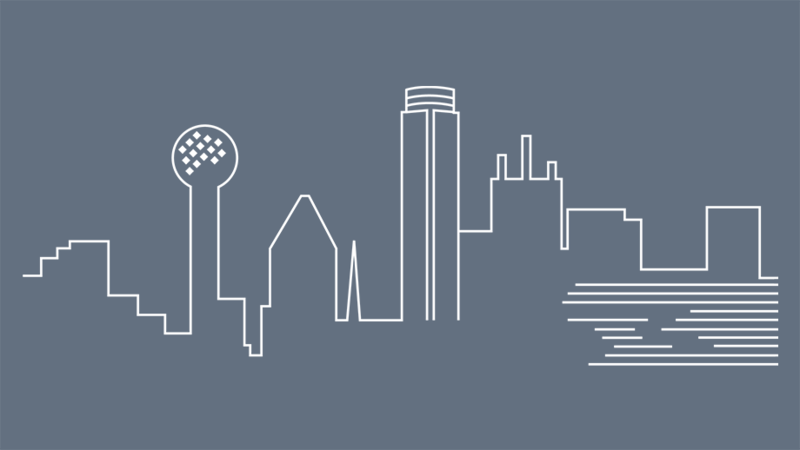 A minimalist skyline shirt, designed to honor the men and women who lost their lives or were injured during the Dallas shooting in 2016. All profits were donated to the Russ Martin Foundation to support the families of fallen police officers and firefighters in DFW. I also made a personal contribution matching the donations from the profits of the shirt. After a reprint, this shirt is by far my most successful design and has resulted in over $600 in donations. If you want your own, sign up and say you want to see it come back! 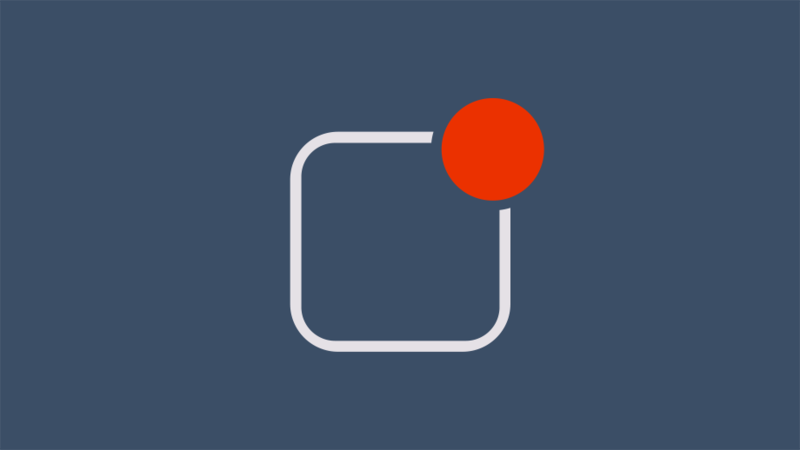 We all know the constant nagging reminder of the red circle on our phone. Now you can have that iconic desire for your attention on a shirt. If you want your own, sign up and say you want to see it come back! Inspired by some 1950s textile designs I saw in New York City recently, this shirt is a large, fun, & colorful addition to your already full dresser or closet of shirts. Available on demand from Cotton Bureau. To celebrate a local indie music venue’s 100th unique band, I created this poster featuring every band name. 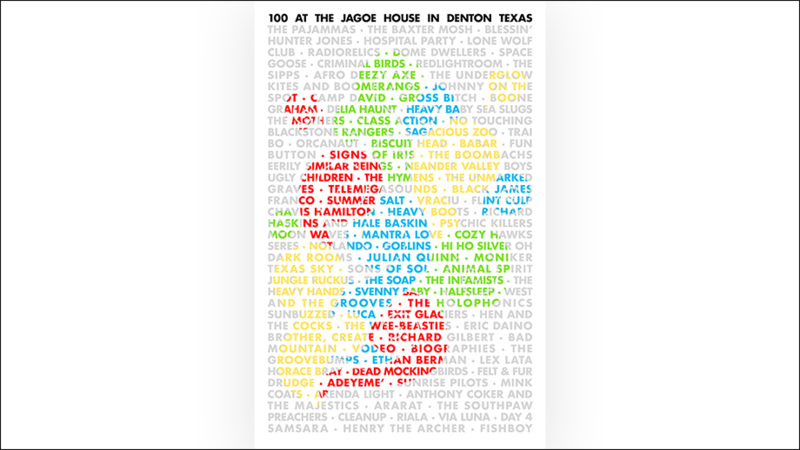 The idea was to take the Jagoe House logo and create a design where you could see the logo from a distance on a wall, and read the names of the bands once you were closer. To promote the event and keep the surprise, this design was advertised online with the final 100th band spot blank. The final design (shown here) was given a limited print run, where each of the 100 attendees at the small and initimate show with Fishboy received a copy. 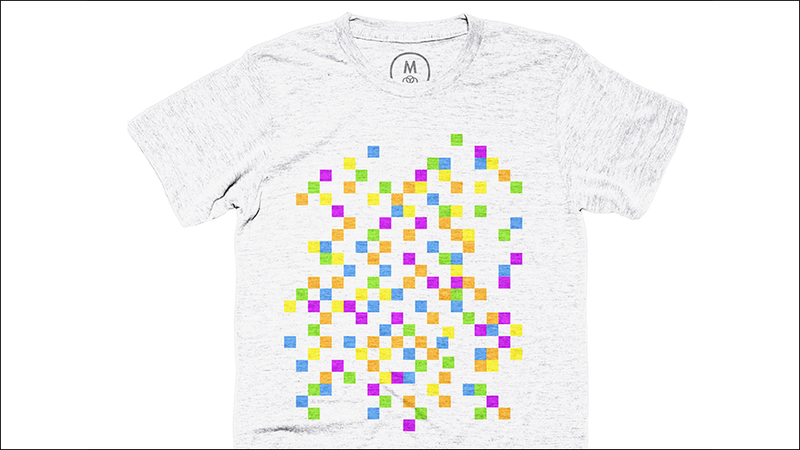 See more of my shirts on Dribbble.